The 1 1/2" big wire gate metal bolt snap hooks come with spring wire metal gate. You can open or close the bolt snap hooks eaily by pushing or release the steel wire gate by your finger. 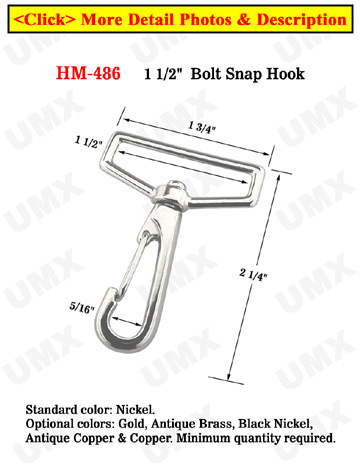 Small Order: Small Size - Steel Spring Hooks: 3/4"